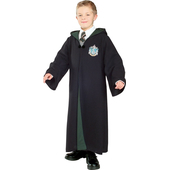 Fully licensed Kids Harry Potter costume kit includes a long black hooded robe with a printed "Gryffindor" crest and clasp. 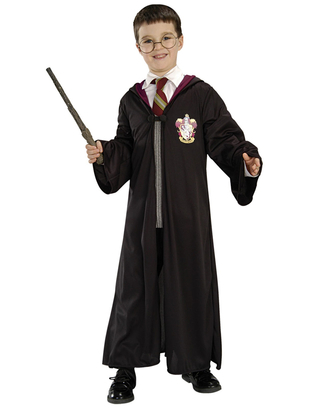 Also included in this famous wizard costume is a wand and pair of Harry Potter glasses. Shirt, tie and shoes are not included. Tie may be purchased separately. 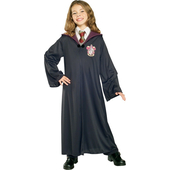 Please note packaging says Age 5-8, but from customer feedback and inspection this item is suitable up to age 10. 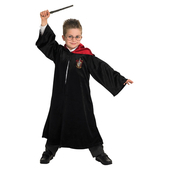 I ordered the Harry Potter kids costume and separate scarf for my son 48 hours ago and both items are now in our possession. Fast and reliable service. Costume itself is of reasonable quality and it came well packaged. We would order again.